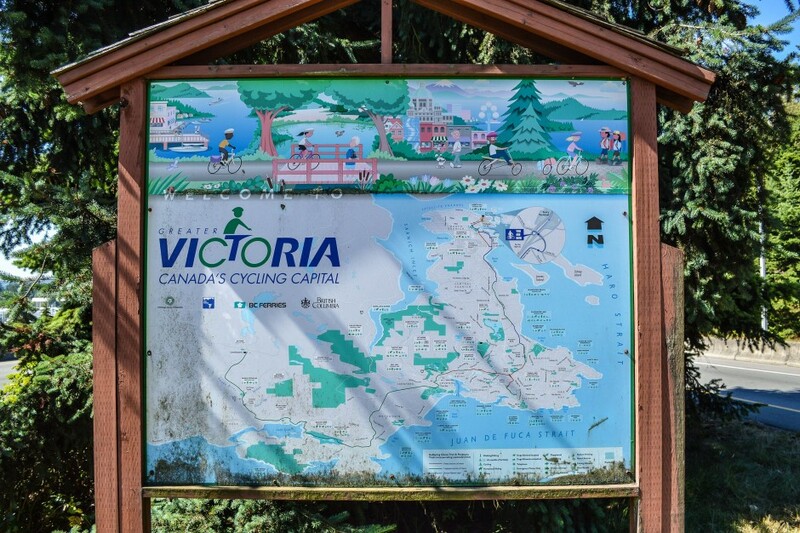 Author’s Note: Earlier this month, Modacity were invited by the Greater Victoria Cycling Coalition to kick off their brand new Trans-Form Speaker Series. 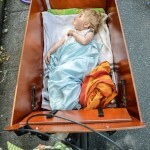 So our family packed up our panniers, and made the multi-modal journey to Vancouver Island via train, bus, ferry, and bicycle. 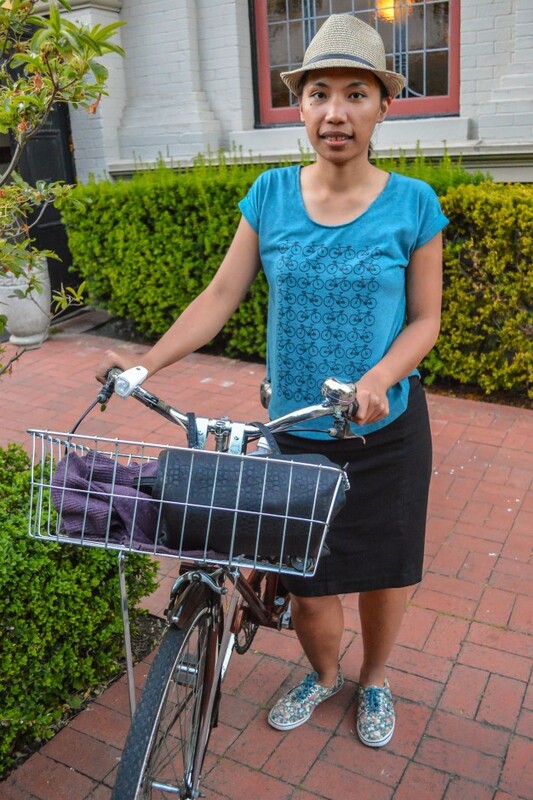 We also had the opportunity to spend some time cycling and photographing their city streets, and chatting with local advocates. 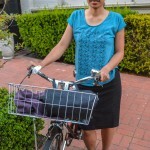 The end result is the following photo essay that attempts to capture the state of utility cycling in Victoria in 2014, both for better and for worse. 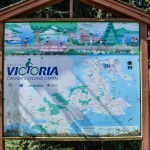 A bittersweet thing happened to Victoria – the sleepy capital of British Columbia found on the southernmost tip of Vancouver Island – during the late 1990s. 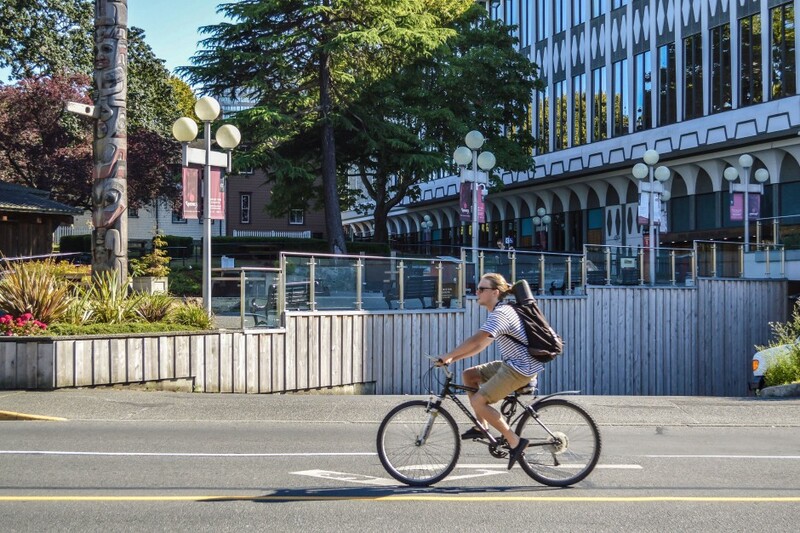 Buoyed by news that they led the country with an impressive 10% of their population biking to work, local advocates naively declared themselves “Canada’s Cycling Capital”. There’s no doubt the region took a few meagre steps to facilitate this one type of journey, including a series of rail-to-trail conversions, and a decent set of painted bike lanes and sharrows. However, it remains an often overemphasized statistic (making up just one in five daily trips) that was as much a product of circumstance – a small population (just over 80,000), compact size (less than 20 sq. km. ), mild climate, moderate topography – than it was of design and political will. This premature assertion soon became more of a curse than a blessing, as politicians and city officials sometimes used it as an excuse not to invest resources in much-needed infrastructure. When pushed to increase budgets and staffing levels around active transportation projects, they would occasionally point to that title (and one misleading digit) as proof that it simply wasn’t needed. There have definitely been other factors at work, including a risk-averse culture at City Hall, inadequate staffing levels, a lack of political leadership, an older generation of senior planners and engineers, a disconnected road network, and a not-so-effective advocacy community. But regardless of the cause, cycling uptake has stagnated for 15 years; Victoria has fallen woefully behind the rest of the continent, and is only now beginning to realize it has some serious catching-up to do. Luckily, the City of Victoria appears ready to right those wrongs in 2014, as it updates its Bicycle Master Plan for the first time since 1995, with $5 million worth of crucial infrastructure projects over the next five years (an astounding four-fold increase in the annual budget) that will make cycling safe and comfortable for all of its residents. This process was driven by an enthusiastic and passionate group of citizens – all of who volunteer countless hours out of love for the city they call home. 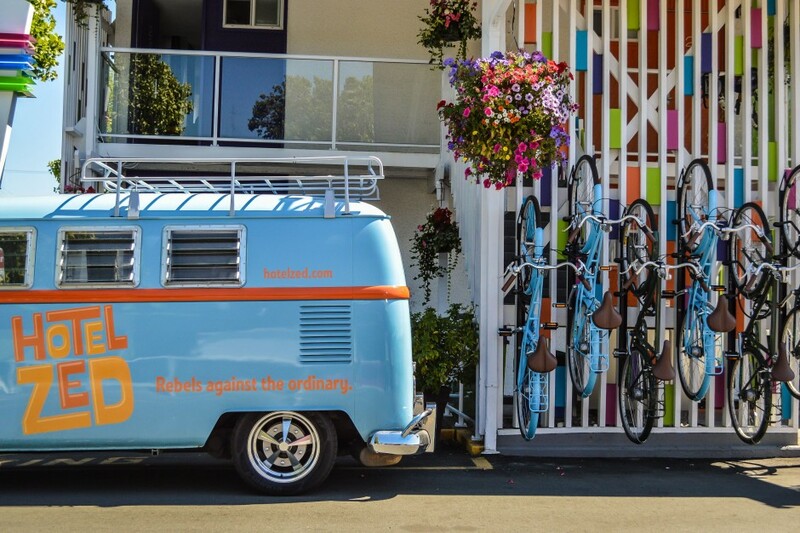 In addition to an online boutique and travelling pop-up, Susan provides a vital voice in the push to normalize cycling in Victoria. From regular features on her blog about the citizen cycling movement (with a particular focus on women who cycle for transport), to sponsoring events that bring guest speakers to the island to inspire and inform, she rightly puts her money (and boundless energy) where her mouth is. 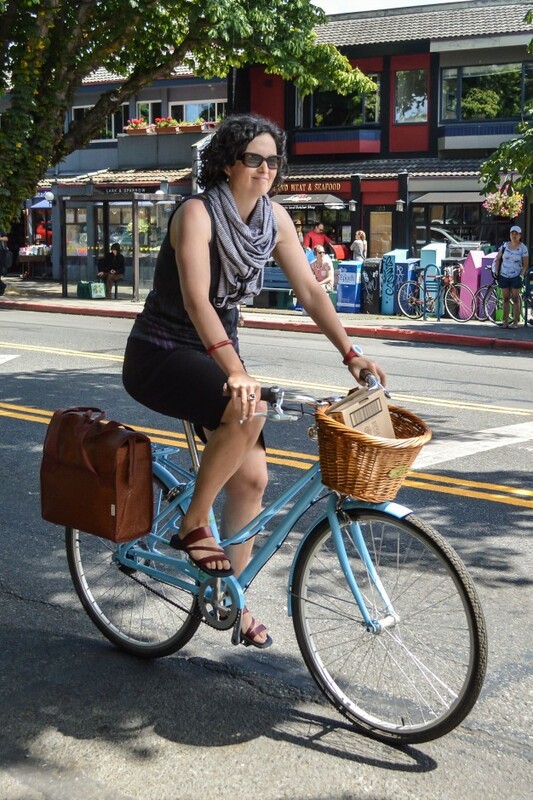 Most importantly, Susan’s website presents powerful, rarely seen images of bicycle normalcy, in a region where sport and recreational cycling still reign supreme. 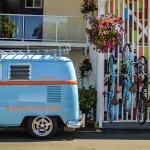 “We’re attempting to promote a lifestyle we want to see, especially in Victoria. The more people buy into the idea cycling is a normal activity that millions partake in every single day, the more likely we are to build better bicycle infrastructure here. I believe we need to be the change we want to see.” On that point she is exactly right. Mike Russell has been a police officer for over 10 years, first with the Edmonton Police Service, and most recently working as the Victoria Police Department’s Social Media Officer and Media Spokesperson. 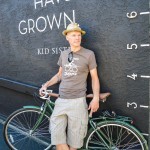 He and his wife Olena headed west from oil country in 2008, a move which enabled a gradual transition from owning two cars, to one, to their current status as a car-free family of five (with one more on the way). Less time commuting long distances (and less time paying for it) means they spend more time contributing to local civic affairs. 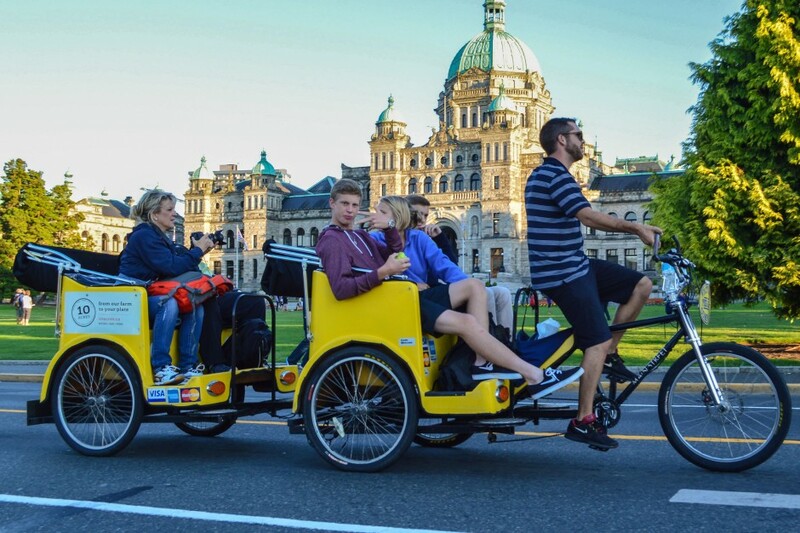 It permits them to volunteer with the Greater Victoria Cycling Coalition, and to participate in various community consultations, food security initiatives, charitable causes, and placemaking events. 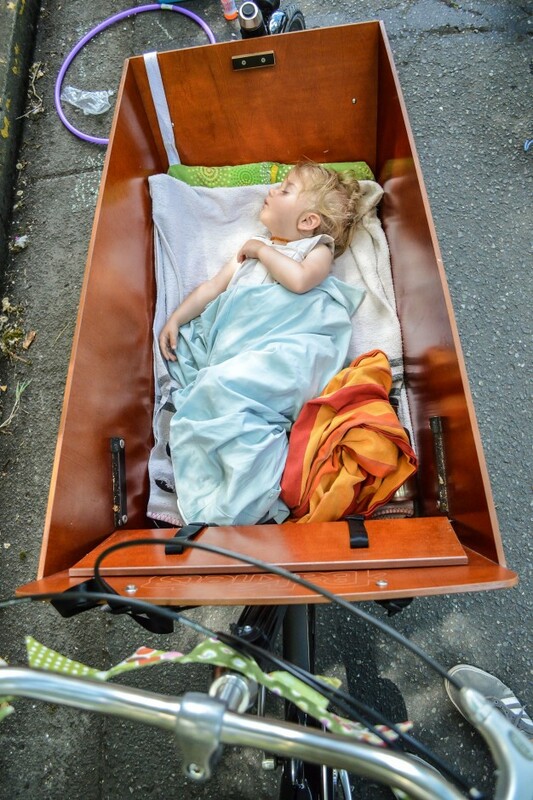 The Russells are doing everything in their power to make Victoria a better place for their children, something that is only further enabled by their car-free existence. Ray Straatsma migrated from the Lower Mainland to Vancouver Island in late 2009, when his partner took a job with the provincial government. 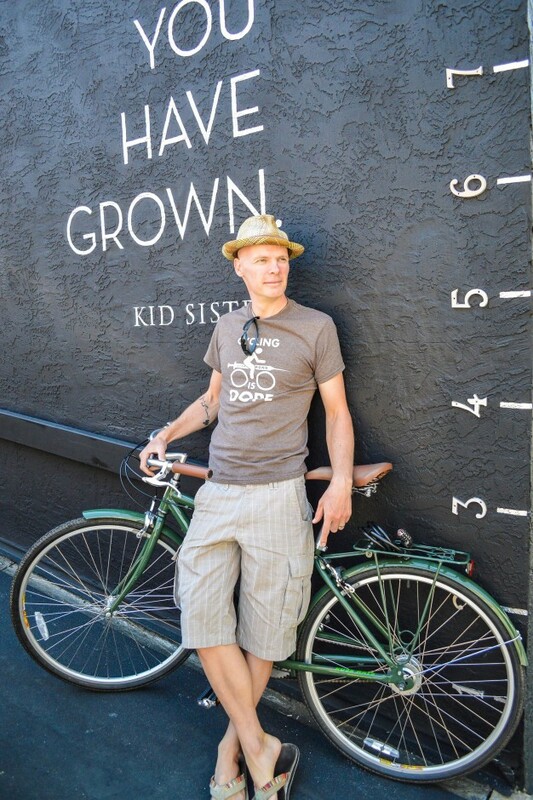 After seven years as a bike and transit advocate in Vancouver, he took a brief hiatus, eventually involving himself in local cycling matters, and settling into his current role managing special projects for the Greater Victoria Cycling Coalition. 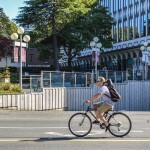 Earlier this year, Ray co-authored a report entitled “Bikes Mean Business”, supported with funding from the City of Victoria Special Grants Program. 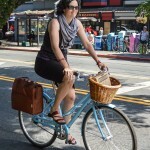 “It surprises many of us [at the GVCC] that City Hall has not generally seized the opportunity to be a leading cycling city – despite clear tourism, economic and social benefits.” So Ray set about articulating these prospects in a more palatable format, interviewing over 500 people on sidewalks, followed by 125 downtown businesses. 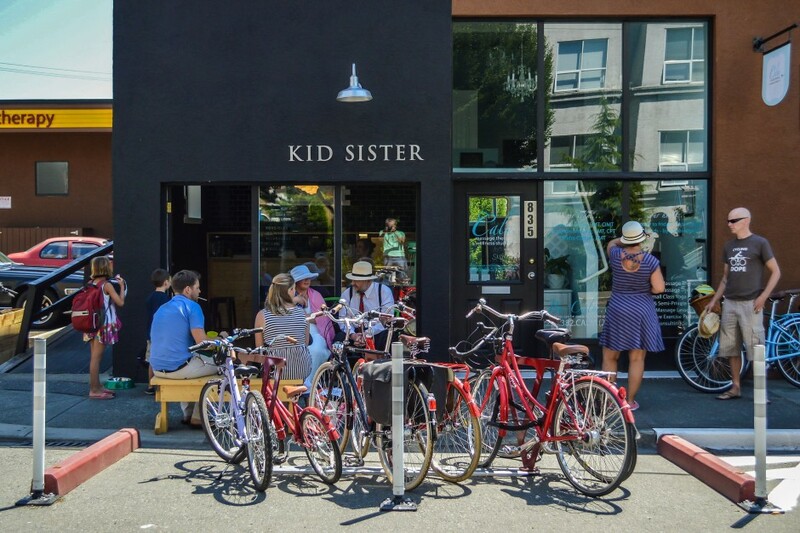 Ray believes this report will elevate the discourse around the business case for bike infrastructure, and eliminate a lingering sense of complacency among civic leaders. 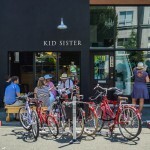 “We don’t really have the type of bike network that existing riders deserve, let alone facilities that will generate new ones – namely women, families, and novices.” He appears to have succeeded, with city council and staff advancing all but one of the report’s five key recommendations, in the four short months since it was published. 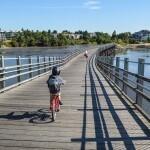 In the meantime, raised expectations and lofty goals (60% of all trips by bike/foot/transit in 2041) have motivated the City of Victoria to bring its inadequate, out-of-date, and disconnected bicycle network up to 21st-century design standards. 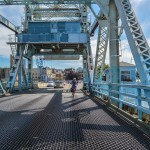 But with a tax base and operating budget that is a fraction of its Canadian counterparts, this upgrade will take a certain amount of patience and creativity. 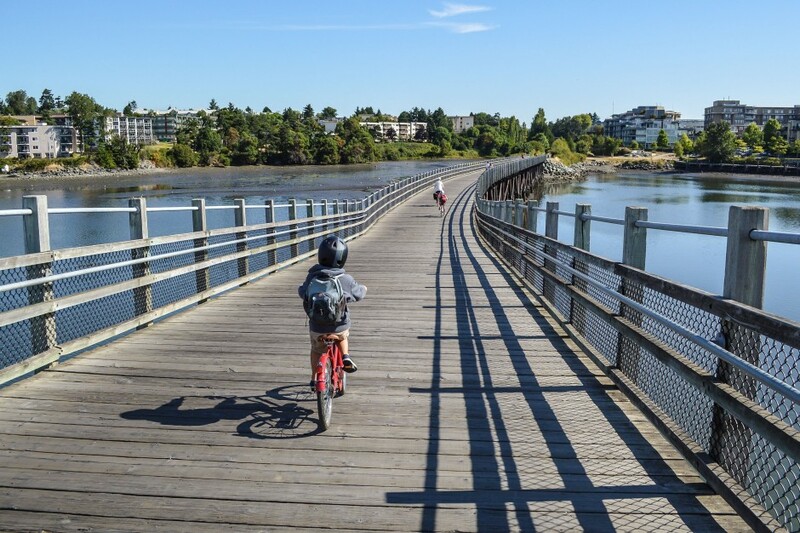 The city’s first two physically separated cycle tracks are in the planning stages – one on a well-used downtown street and another on a scenic waterfront route – both designed to coincide with other road construction. 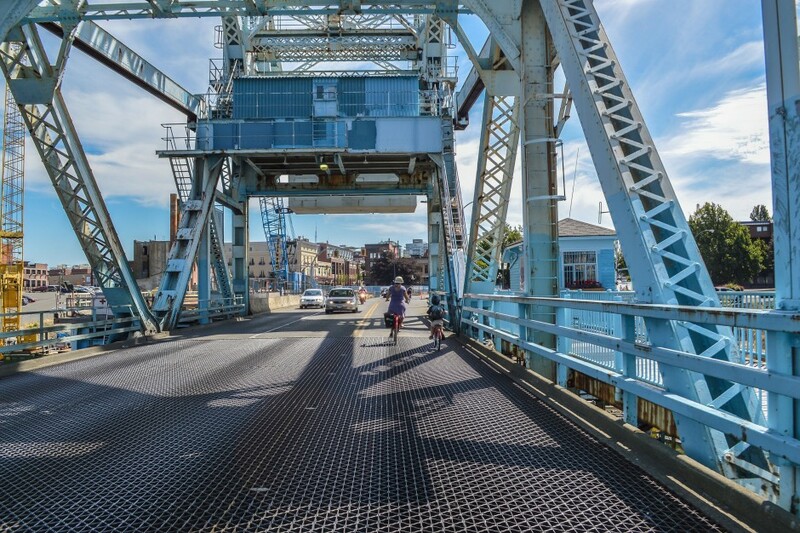 Connecting to one of those cycle tracks is the 90-year-old Johnson Street Bridge, in the midst of a $93-million replacement, with 50% of the new deck space dedicated to pedestrians and bicycles. While local politicians seem willing to talk the talk, it will be up to selfless citizens like Susan, Mike, Olena, and Ray to ensure they continue to walk the walk. 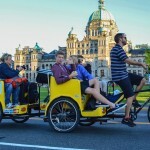 For now, Victoria remains “Canada’s Cycling Capital” in name only (a title Montreal has rightfully earned with decades of hard work and political will). But with the human infrastructure outlined above, there’s every chance they will seize this remarkable opportunity, and fulfill its potential; not just as a good, but as a great cycling city.